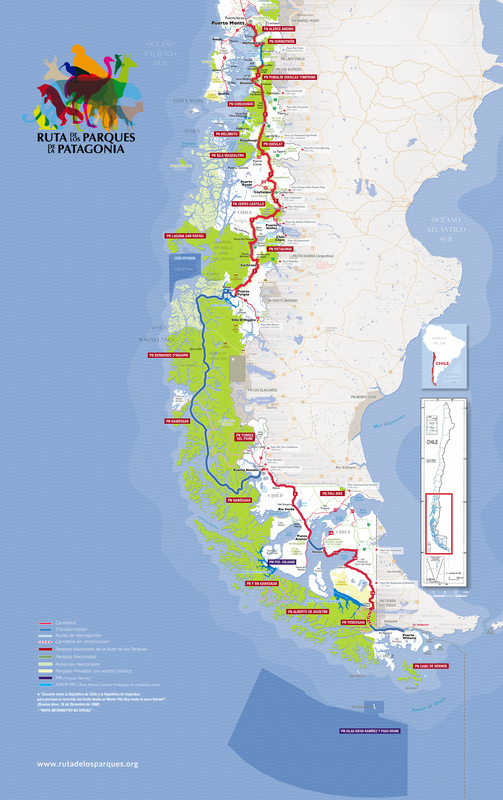 Imagine a route featuring 1,700 miles of pristine landscapes, fragile ecosystems, and diverse local cultures. The most beautiful scenic route in the world already exists–and it’s in Chile. Located south of Puerto Montt, Pumalín Park is home to millenary alerce (Fitzroya) trees and offers more than a dozen trails for exploring landscapes ranging from temperate rainforest to glaciers. Vast valleys sculpted by the Chacabuco River form a natural corridor that, since ancient times, has been used for travel both by nomadic peoples and a large diversity of fauna. Declared the Eighth Wonder of the World and Unesco Biosphere Reserve, the Paine massif is known as one of the most beautiful areas on the planet. The Route of Parks is a new way of thinking about the immensity of our beloved Patagonia: a vision of economic development based on conservation and ecologically-minded tourism. The Route benefits more than 60 local communities. For each dollar invested in National Parks, $6 to $10 dollars return to the local economy. More than 50% of international tourists who visited Chile in 2016 were drawn to the country for its natural beauty and outdoor offerings. In the last decade, visits to Chilean National Parks have tripled in number. In 2017, tourism in Chile grew 14%. Head south from Coyhaique along the Carretera Austral to Puerto Tranquilo, the gateway to Laguna San Rafael National Park, visiting the marble formations of General Carrera Lake from Puerto Sánchez. Return north to explore Cerro Castillo National Park. Discover one of the most pristine areas of Patagonia, visiting Cerro Castillo National Park, and then head towards Puerto Tranquilo, the gateway to the Laguna San Rafael National Park. Continue south to explore the wonders of Patagonia National Park, Tortel and Villa O'Higgins. Cross the largest lake in Chile from Puerto Ibáñez to Chile Chico to tour Jeinimeni and then cross the border to Paso Roballos. 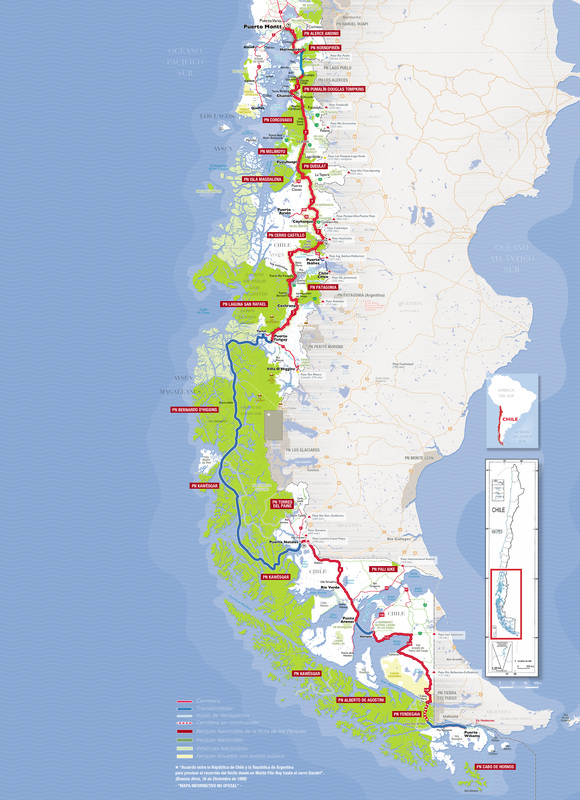 From there, returns to Chile to cross the impressive Chacabuco Valley, and then continue to Puerto Yungay to navigate the Kawésqar canals to Puerto Natales, the gateway to Torres del Paine. For two adventurers, the wilds of Chilean Patagonia were a lifelong love affair. Now, their legacy has resulted in one of the greatest conservation donations of all time.